Yes, you read that right! Paul travels 1,000 miles from his London shop to Scotland and back in order to pick up Scotch pies from the West side of Scotland. 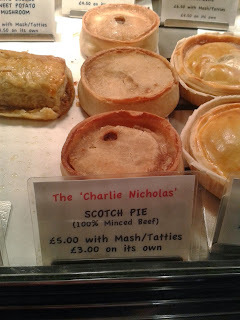 [The reason why it’s the west side of Scotland, in case you were wondering, is because the west coast is more famed for its prime minced beef Scotch pies, compared to the typical minced mutton Scotch pies on the east coast of Scotland.] Paul gets them from a former World Scotch Pie making champion, so you know they’ve got pedigree. So the 'Charlie Nicholas' then... the 100% minced beef Scotch Pie from Piebury Corner. Of course you already know it is 100% minced beef inside and immediately as you cut through the crisp top layer of pastry you can see the minced beef , spread evenly throughout the pie. There’s no padding it with vegetables or anything unnecessary – it’s just meat, meat and more meat! That’s something we’re quite comfortable with at Pierate HQ! The pastry top edge was so nice and crisp, a good contrast to the slightly softer side and base pastry. This contrast worked well. The meat was good, with a bit of spice that lingered slightly after eating but not in an overly in-your-face manner. We’ve already commented on it being beef – rather than mutton – and it was certainly a pie I would happily eat again. 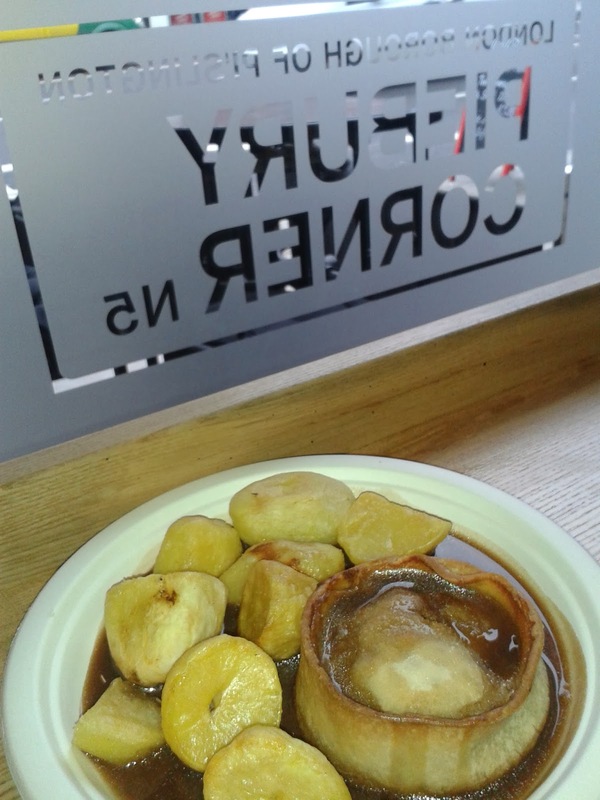 At £5 it is the cheapest ‘pie and potato’ combo on the menu (or just £3 for the pie alone in restaurant and just £2 to take away), which considering the amount of petrol used to collect these pies is quite a feat! A good size and one that filled the hole well for lunch. I wouldn’t have minded it being a little bigger if I was having it for my dinner though. We've already reviewed many of the Piebury Corner pies. 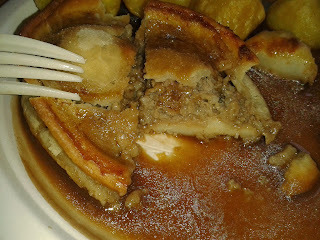 See where this pie ended up in the Pierate Pie Rankings or find other pies of a similar flavour.